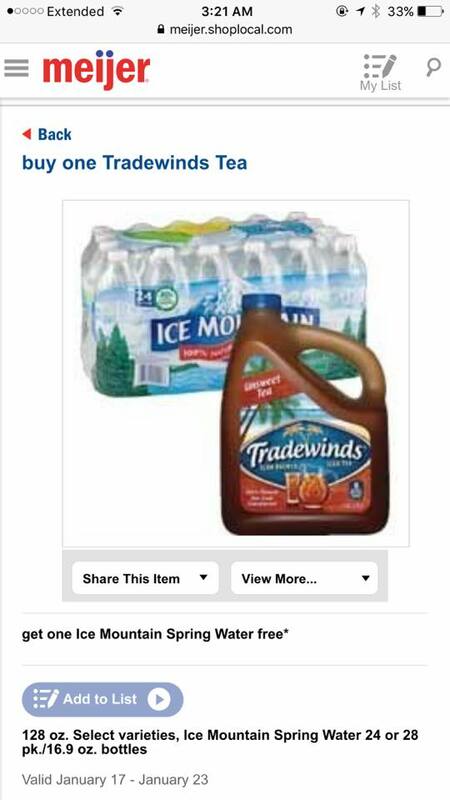 Meijer: POSSIBLE STELLAR Tradewinds deal for the Thursday-Wednesday Market! Typically the sale for the Thursday to Wednesday market is very similar to the Sunday - Saturday market! This Thursday, if the Tradewinds deal is going on, there is also a catalina starting on 1/25!!! Catalina Buy 2 get $1, buy 3 get $2 or buy 4 get $3. 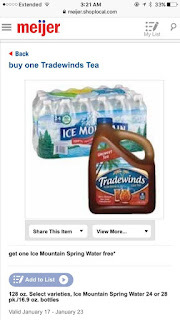 Final Cost: $6.96 for 4 gallons of Tradewinds Ice Tea and 4 28pks of Ice Mountain! 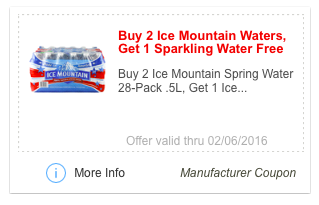 This mPerks coupon should work when you scan the first 2 ice mountain cases of water.